UPDATE (2/22/2016): After publishing this review, I was advised by Ed Leonard of Daywind that I had made a presumption that was not entirely accurate. Eight out of the ten tracks used on this recording were actually recorded and released for the first time as soundtracks in Daywind’s Soulful Sounds series in 2015. The “dated” and “cheesy” elements I describe are due to the producer’s deliberate attempt to mimic the style of the original Crouch recordings, not a reflection on when those eight tracks were first recorded. I apologize for my error. Please disregard the portions of my review that say the recording isn’t really “new” (except there are two songs where that observation does apply). Also, see Ed’s comment under this review for more details on this CD. 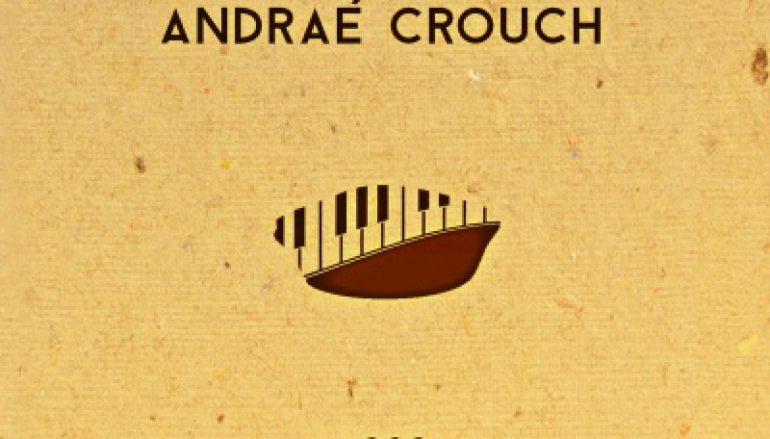 My Tribute: The Classic Songs Of Andraé Crouch is a “new” recording by Paul Lancaster. I put “new” in quotes, because this CD isn’t really new. There are complete production credits listed in the CD jacket for musicians, background vocalists, a producer and so forth that might lead one to believe it’s new, but that isn’t the case. 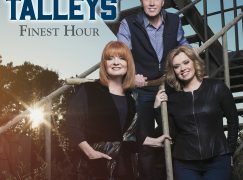 You may remember Kyle’s October 2015 review of Michael English’s Worship CD. On that recording, Daywind added English’s voice to several existing recordings from their performance track library. My Tribute is produced in a similar fashion, except it takes another shortcut. Paul Lancaster was the studio singer who recorded the vocal demos when these performance tracks were mostly recently released for sale. From the July 2015 and October 2015 release dates listed on Daywind’s website, I’m guessing Lancaster was hired after Crouch’s death in early 2015 to record fresh vocal demos so Daywind could get some extra mileage out of these old tracks. The synthesizer-heavy instrumentation is circa 1990s. That is when Daywind introduced their Soulful Sounds performance track series. This CD is a compilation of Lancaster’s vocal demos, with two exceptions. On “Take Me Back” and “Let The Church Say Amen,” the vocal demos featured on the original soundtracks are both in the “high” key option. Both recordings on the My Tribute compilation use the “low” key. Of course, this is all just backstory. However this recording was made is secondary to how it sounds. My Tribute has some good qualities, the chief one being that Lancaster is an outstanding singer. 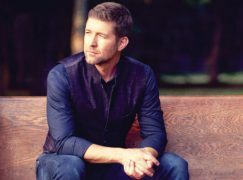 He has the vocal skills to deliver convincing, heartfelt performances of these classic songs. I was pleased to note that Daywind selected some of Crouch’s most iconic songs to showcase Lancaster. 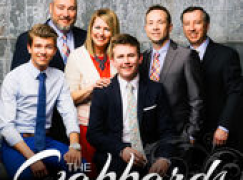 They even included a couple that were neglected 20 years ago when several major CCM artists united to record Tribute: The Songs Of Andraé Crouch (1996). It’s too bad most of these tracks sound dated, cheesy, and cheap. There’s probably not enough potential for sales to devote the sort of budget that would be needed to make this CD the right way. With that consideration, I suppose it’s better to have it in this form than not at all. I wanted to clarify a few things for you regarding this release. The album was not created using old tracks that Paul sang demo on, but rather was created from “scratch” with him in mind given his passion for the music of Andrae Crouch. While we did use a couple existing tracks (I think it was two of the ten), Paul recorded his own vocal on these (he was not the original singer of the demo) and the tracks were re-mixed and re-mastered. With the eight new tracks, the producer stayed as true to the originals as he could, using the original versions as a reference in the tracking sessions. While we could have gone another route, Paul wanted the music to stay true to the original versions. Any “cheesiness” as you say would unfortunately be a reflection of the era in which the originals were recorded. We did release performance tracks using these masters, but we release original tracks on all the original artist cds we put out, and we were excited to release tracks on Andrae’s songs so people could keep singing them in church. The album was created for Paul and we released tracks on it. It just so happened that we released most of the tracks before the album was completed. We were waiting to complete the album for Paul until we could get the Booth Brothers together on one of the songs. Paul does an amazing job on it, as you noted, and it was a work of love for him. I regret that the overarching tone of your review focuses on incorrect assumptions you made rather than the excellence of the art. That’s not good journalism. Thank you, however, for caring enough about our music to review it in the first place. 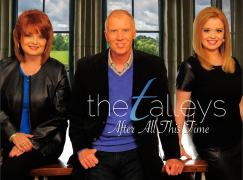 Anytime you have a question about our music, please give me a call. Thank you for the clarification. I will revise the review accordingly.